Back in July this year, the Secretary of State for Education, Damian Hinds MP, announced that age-related content about good physical and mental health will be a compulsory subject to be taught in schools from 2020. 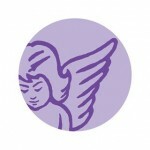 Team Margot Foundation was encouraged to read that organ and blood donation is included within the statutory guidance. 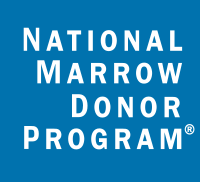 We have however asked, via the consultation that closed on the 9 November, for this subject matter to be extended to include stem cell and bone marrow donation as well as cord blood donation. We believe that wherever donation is referred to, all forms of donation ought to be included. 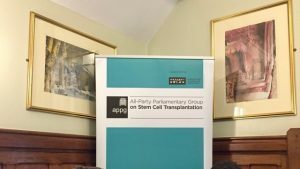 This was also confirmed at an APPG on Stem Cell Transplantation breakfast meeting last month. 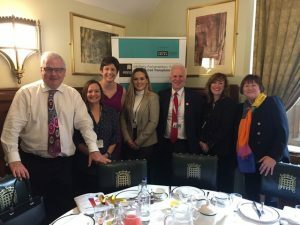 Anthony Nolan brought together a small group of stakeholders along with a representative from the Department for Education so that she could hear our views on why we believe that stem cell and bone marrow donation needs to be included within the Health Education statutory guidance. 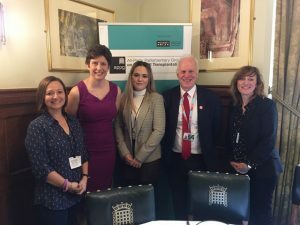 It was interesting to hear everyone sharing their experiences of being a stem cell transplant recipient, being a donor and also how education is making a difference, but that more needs to be done. For me personally, what came out of this meeting was hearing that unless secondary school pupils themselves have a personal experience, they are unaware of what a stem cell donation is and therefore don’t know that they are able to join the stem cell and bone marrow register. 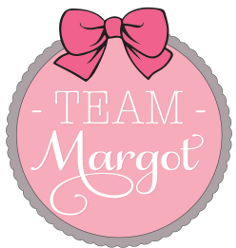 This only validated Team Margot’s view that the earlier a child is taught about donation, the better. It was lovely to hear from Andrea Mason, a senior tutor at Wyke Sixth Form College, who told us of a number of their pupils who have registered and then gone on to be a stem cell donor. For the last few years, every March their pupils are taught about stem cell donation and this has now become engrained within the school culture. Those pupils who have been matched and then gone on to donate are celebrated within the school, which I think is wonderful. Both Yaser and I believe that it is essential that children are taught about all forms of donation early on at home, at school and within their local, social and religious communities. We believe that if discussions and conversations are had about these types of donation in an age appropriate way, then the conversation becomes the norm and not the exception. In addition, we hope that when the children reach the age of consent, they automatically go onto register to give blood regularly, to join the register as a stem cell and bone marrow donor and also to register as an organ donor. We hope these children they will talk positively about donation with others, to encourage them to do the same. That is why we launched the primary school education programme ‘Giving to help others’ with the NHS Blood and Transplant back in October 2017. The various lesson plans that are soon to be launched, along with the assembly presentation can be taught at different times and to different age groups throughout their primary school education. The more touch points on the subject of donation then the more ‘normal’ the subject will become. As Damian Hinds admitted, too many teachers in England are being overwhelmed by excessive workloads, so we encourage schools to use ‘Giving to help others’ to teach this compulsory subject, as all the teaching materials can be found on one platform, they are free and easily downloaded, and no pre-work is required as the thorough teacher notes are easy to follow and validated.